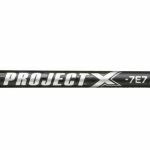 Project X was designed on the PGA Tour to help professional golfers improve distance and accuracy. 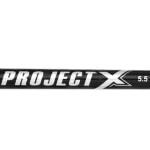 Today, Project X is played by the worldâ€™s best golfers and can be found in play every week of the Tour. Featuring proprietary Dual Torsional Control, Project X Black reduces spin rates at impact for optimized peak trajectory with flatter descent angles for maximum carry and roll.